On Sunday, the Rio Olympics will officially come to an end with the celebratory closing ceremony — but the action in Rio will continue for another month. Although the Olympics will have come to a close, the 2016 Paralympic Games will kick off in Rio in September. The Paralympics are a tradition that takes after the Olympic Games, but they often face a very different set of challenges. The Paralympics are scheduled for September 7-18. Like the Olympics, they'll feature an opening ceremony and a closing ceremony, and the two Games will share many venues. They'll also share a number of sports, including swimming and rowing, but the Games could still look vastly different from their Olympic counterparts. Ahead of — and during — the Rio Olympics, the international community worried about Rio's preparedness for the monumental event. Zika, a contentious political climate, and claims of faulty facilities led many athletes and countries to be wary. Still, the excitement for the Olympics around the world never dwindled, and the Games went off, for the most part, without a hitch. When the Paralympics begin next month, attendance may be low and facilities could be few and far between, according to the most recent updates from Rio. Fortunately, like the Olympics, excitement still seems to be high. The Paralympics are held in the same location as the Olympic Games thanks to a years-old agreement between the International Olympic Committee (IOC) and the International Paralympic Committee (IPC). That means many of the Paralympic venues are built primarily for the Olympics, but the IPC still has to pay for its fair share of the Games. This year, money could be an issue. 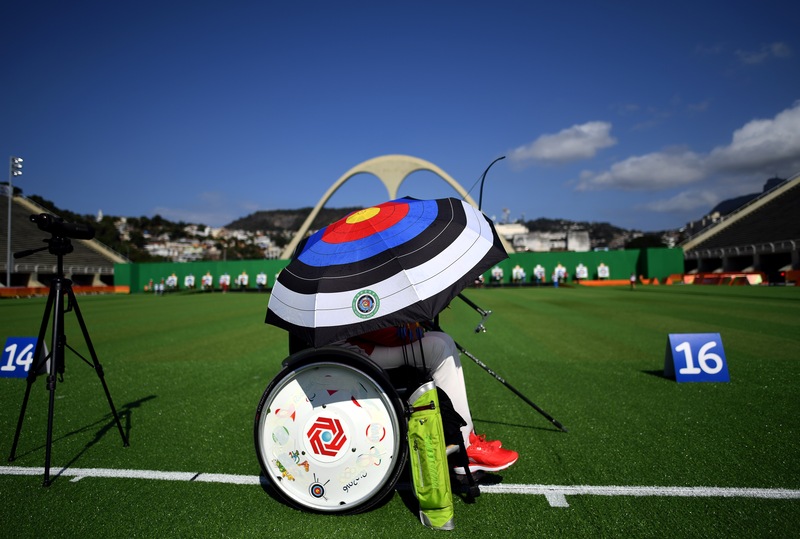 On Friday, the IPC announced budget cuts, which will translate to workforce cuts and venue closures in Rio. Part of the problem seems to be low ticket sales. According to CNBC, organizers have reported selling just 209,000 tickets to the Paralympics. In London back in 2012, the story was much different, with more than 2 million tickets sold to the Paralympics. Nonetheless, the Paralympic Games will continue as scheduled, and the world will get to see some of the strongest athletes in the world compete for hard-earned medals. More than 4,000 of these athletes from over 160 countries will compete in 22 different sports. If you're feeling Olympic fever, which is soon to turn into withdrawals, the Paralympics are the event to pay attention to.